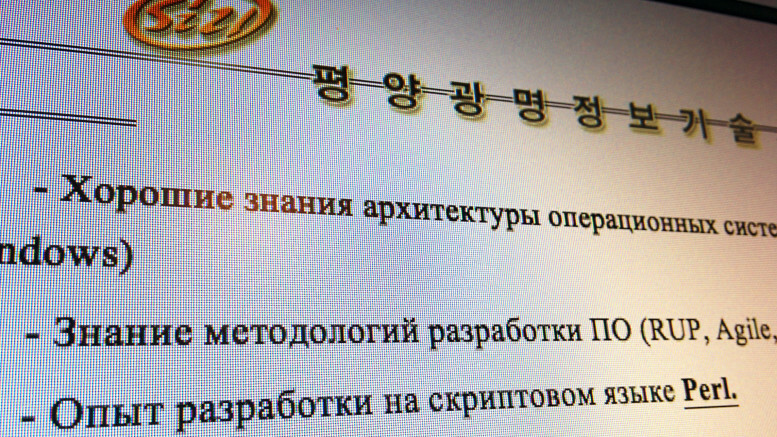 A North Korean state IT company has approached Russia’s Information and Computer Technologies Industry Association (APKIT) proposing a greater working relationship with Russian IT companies. 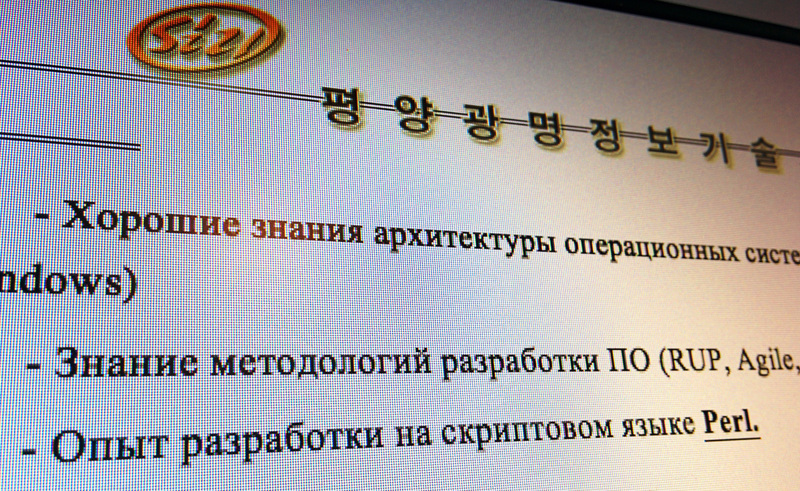 The country apparently wants to win business from Russian companies and the Pyongyang Kwangmyong IT Corp. held talks with APKIT in July and August, according to the APKIT. As part of those talks, the North Korean company proposed a number of areas of collaboration and provided details of the skills possessed by its staff in Pyongyang. Those documents were seen by North Korea Tech. They include development of Windows and Linux software; information security software; embedded software, which is the type of program used in products like network routers and retail terminals; and reverse engineering, which is the process of taking an existing piece of software and working backwards to figure out how it’s written so it can be replicated. Nine members of the staff hold diplomas from Microsoft, Oracle and/or Cisco and 16 have spoken language qualifications, mostly in Chinese. A suggested salary of US$2,000 is listed in the proposal, presumably per month but there is no timeframe given. North Korea has been building its software engineering skills for years and has made several attempts to establish itself as a destination for IT outsourcing, including sometimes working with western IT specialists. Perhaps the best known of those ventures, Nosotek, offered software development from its launch in 2007 for several years, although the business appears to have closed. Its website has been inaccessible since it was hacked in 2013. Typically, trade sanctions or the potential bad publicity that could come with being associated with North Korea has put western companies off doing business there, but that could be different for Russian companies. While the North Korean proposal carried the name and logo of the Pyongyang Kwangmyong IT Corp., it lists an email address and telephone number that is often used by the Korean National Insurance Corp., the government-run state insurer. The reason for this is unclear. 2 Comments on "North Korea proposes expanding work with Russian IT companies"
Oh my God, why is everything that has to do with North Korea so simple, honest and beautiful? I am falling in love with this people. As a Siberian, it does not happen often to me, to admire another people for its strength. North Korea has much to teach to the West. Therefore I hope cooperation with Russia, if possible with the Russian Far East, keeps being upheld and enhanced on all levels. I thank you wholeheartedly for this article and this website! it may not be too long they will be exporting small gas economy car to Russia– after junk yard special boom is passed ?